On New Year's Eve my husband and I had dinner at a restaurant that's been on our "to try" list for a while, Kapnos by Mike Isabella. The menu is inspired by Isabella's travels to Greece and mostly consists of mezze (small plates). We're not typically fans of small plates (this reaction is familiar), but everything we ordered was delicious - my favorite dishes being the marinated spring lamb, the tyrokafteri spread with flatbread, and rizogalo (rice pudding brulee). We then relaxed at home, chatted with family, and took a small nap before midnight. Yes, I said nap. It would be easy for me to say the nap was induced by the baby, but honestly, I rarely stay up past 10 PM. I'm a morning person. I was up in time to ring in the New Year with my a kiss from my husband and a kick from my baby. She loves to dance too! I couldn't have asked for a better way to spend New Year's Eve. 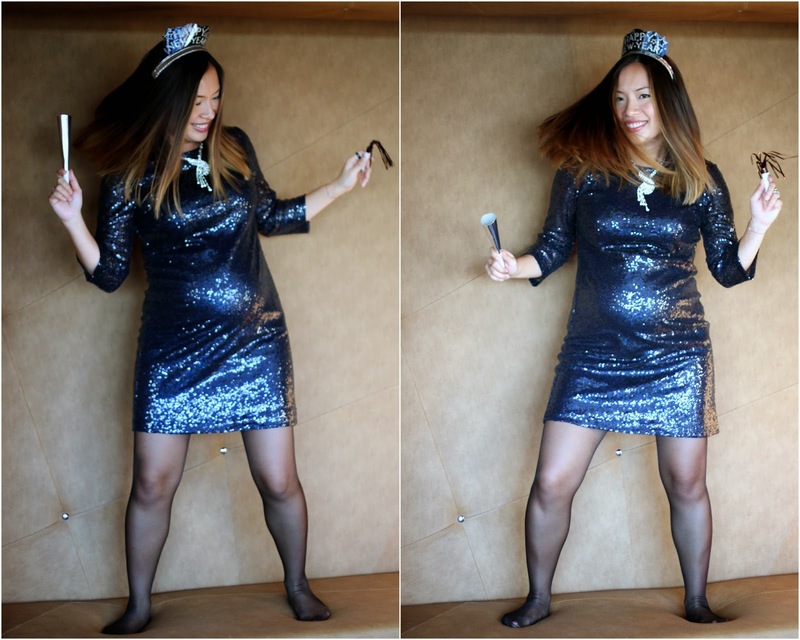 How did you celebrate the New Year, and what did you wear? I spent my New Year's Eve at my church (via online...the wonders of technology!) and watching Kathy and Anderson on CNN.